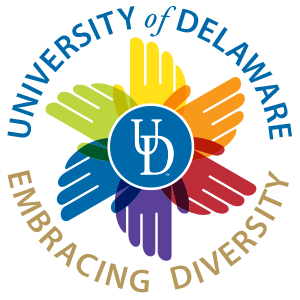 In the Department of Physical Therapy at the University of Delaware (UDPT), we are dedicated to preparing the next generation of physical therapy leaders for practice in an increasingly diverse world. For this reason, we are committed to increasing diversity in the physical therapy workforce so as to maximize health outcomes for all Americans. Through graduate physical therapy training here at UD, students will receive an unmatched educational experience through mentorship from a world-class faculty of researchers, clinicians and educators. Our desire is for the ADaPT program to play a critical role in ensuring that all students, regardless of their background, are well-prepared to pursue a graduate physical therapy education. Through participation in the ADaPT program, you could have the opportunity to interact with physical therapy faculty here at UD, learn about the various training opportunities available, meet other like-minded students who are pursuing a similar career path and participate in programs that will increase the likelihood of successful entry into a top-tier program such as UDPT. We hope that you will take advantage of this amazing opportunity. Funded summer research experience in the lab of a UD Physical Therapy faculty mentor. Other information: Admission decisions will be based upon current cumulative undergraduate GPA, UDPT science prerequisite GPA, and SAT scores. Take a modified version of the 8-week course in anatomy that is offered during the first year of the DPT program. Tutoring Options – ADaPT has resources to assist members of the program with private tutoring sessions through the Office of Academic Enrichment. Please contact Jeanne Warrington (jeannekw@udel.edu) if you are interested in private tutoring. Volunteer in the UDPT Clinic! Earn credit(s) in a Physical Therapy (PHYT) course to fulfill practicum credit.